The Richardsonian Romanesque Dacotah building, constructed in 1879, is a landmark of the Cathedral Hill neighborhood. W.A Frost, a New York educated pharmacist and businessman, set up a pharmacy on the ground floor of the building in 1881 and ran the business until his death in 1930. Mr. Frost had a long and distinguished career and was one of the creators of the University of Minnesota College of Pharmacy. After staying open for 20 years under new ownership, the pharmacy closed in 1950 and shortly thereafter the Cathedral Hill neighborhood went into a long decline. It wasn’t until 1974 that the building saw new life under owner John Rupp. The Rupp Family opened W.A. Frost and Company in 1975, a magnificent restaurant and bar that is still in operation to this day – 40 years later. Along with W.A. Frost and Paper Patisserie, a boutique stationary shop on the ground level, the building includes 34 (CHECK) unique office spaces on its upper floors. 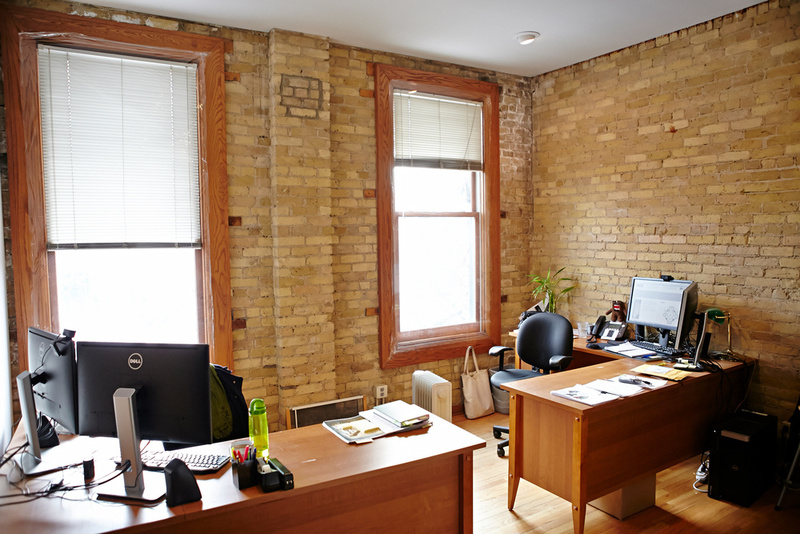 The office spaces vary in size and style, and are all superbly renovated to today’s standards with wonderful woodwork, hardwood floors, fireplaces, and skylights. The views vary from street views of Selby and Western Avenues, to lovely garden views. Located at the corner of Western Avenue and Selby Avenue, just blocks from the Saint Paul Cathedral, the building is ideally situated just outside of downtown Saint Paul and is steps away from numerous coffee shops, restaurants, and boutique shopping of all kinds. Located at the corner of Western Avenue and Selby Avenue, just blocks from the Saint Paul Cathedral, this three-story building is ideally situated – just outside of downtown Saint Paul and steps away from numerous coffee shops, restaurants, and boutique shopping of all kinds. Along with W.A. Frost and Paper Patisserie, a stationary shop on the ground level, the building includes amazingly unique office spaces on its upper floors. 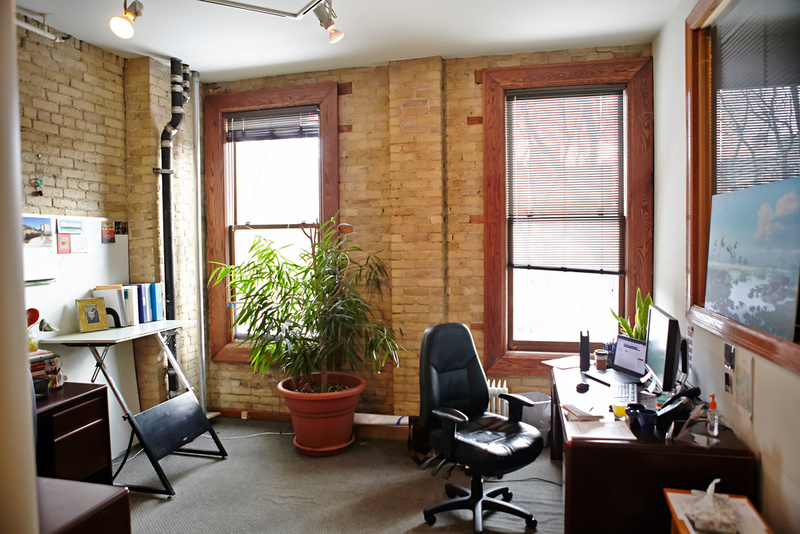 The office spaces vary in size and are all superbly renovated to today’s standards with wonderful woodwork, hardwood floors, fireplaces, and skylights. The views vary from historic buildings across the street, to the Cathedral, to lovely garden views.